Modern workers are on the move, and they need collaboration tools that can move with them. If active participation in video calls, intra-office messaging, and other forms of real-time communication can only happen when everyone is sitting in the same room or working from the same office location, you’re limiting your employees’ ability to work effectively. 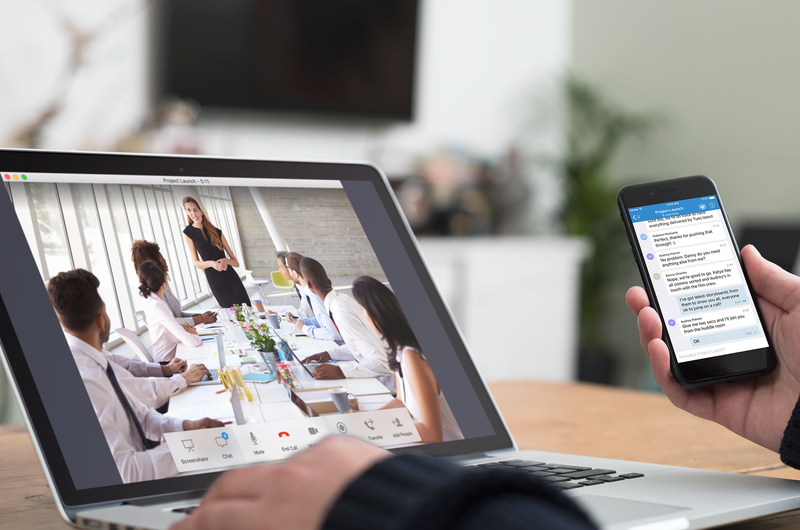 Secure, cloud-based meeting room solutions make it easy for all employees to collaborate no matter where they are or what device they are using. Want to see how it works? Visit the StarLeaf resource page to watch short informational videos about the StarLeaf plug-and-play meeting room system and cloud-based collaboration app. If you’d like to dive deeper, check out the white paper section on the page. Make any space a collaboration space. The capability most needed in today’s meeting rooms or huddle spaces is video. With the StarLeaf Meeting Room System, you can easily transform any meeting space into a video collaboration room. The system’s powerful features bring together team members, customers and partners from all over the world to collaborate and discuss as easily as if they were in the same room. For larger spaces, check out the Enterprise Room System. This system makes it easy to bring rich, immersive and engaging video meetings to training rooms, multi-purpose spaces, and auditoriums. With support for multiple screens, microphones and cameras including pan, tilt, zoom and dedicated document cameras, your attendees can always follow the action. Learn how to integrate video into your workflows. Use your favorite devices and communication methods. Conversations and meetings should never be limited by interoperability issues. The StarLeaf app works from anywhere, on any device. Whether your employees are messaging one-on-one, engaging in group messages, or need to escalate to video, they can collaborate, share and discuss as easily on the move as at work. The StarLeaf app is also completely interoperable with other third-party video calling devices. Because the app was designed with the needs of enterprise businesses in mind, it is secure, easy to set up, and centrally managed. No specialist knowledge or skills are needed to install on new devices and it operates with your organization’s existing IT infrastructure. See the StarLeaf app in action. Bring a global audience to you. Virtual meeting rooms that help you communicate effectively with a global, dispersed workforce are vital for a modern business. StarLeaf allows you to create persistent virtual meeting rooms or run scheduled web conferences that can be joined by up to fifty remote attendees. Internal and external participants experience slick and seamless collaboration through high definition audio and video and easy screen sharing. Thanks to StarLeaf’s unparalleled interoperability, users of third-party video conferencing equipment such as Cisco, Microsoft Skype for Business/Lync, Polycom or Lifesize can easily join the meeting. Watch a full demo of the StarLeaf Solution. GENCOMM provides expert AV systems design and integration, and can help you determine whether the StarLeaf meeting room system is the right solution to meet your collaboration needs. Ready to learn more? Visit the solution page for more details.